Dramatic Play is one of our very favorite centers at preschool because of all the opportunities it offer our children to interact, talk, problem solve, read, write and even practice early math skills. 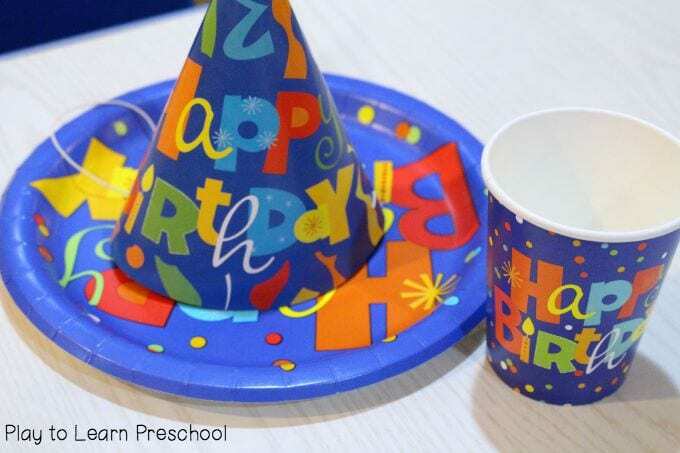 We love to set up elaborate and exciting dramatic play themes in our housekeeping area each month, but today I want to share an idea that is simple and quick and will keep your children playing for hours… a pretend birthday party! I don’t know what it’s like at your school or home, but around here we start planning our birthday parties approximately 11.5 months ahead of time. As soon as all the new toys are open and the thank-you notes are written, my children start talking about “next year”! It is hard to wait a whole year, so we set up a pretend party. 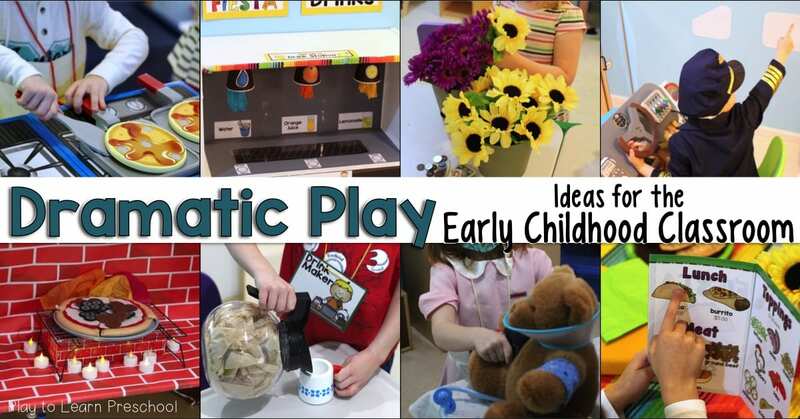 The recipe for this instant dramatic play center is simple – give a dollar store package of birthday plates, cups and party hats to an excited group of children and voila! Let’s celebrate a birthday! 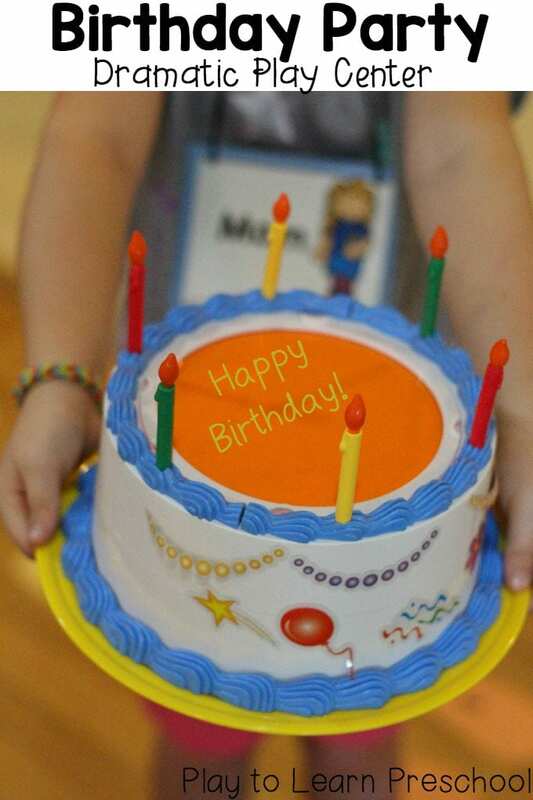 Another prop that we added to this play set is a toy birthday cake. 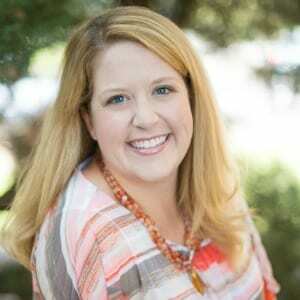 This is an older version from Learning Resources, but there are lots of other varieties from Melissa & Doug and other brands that would work as well. 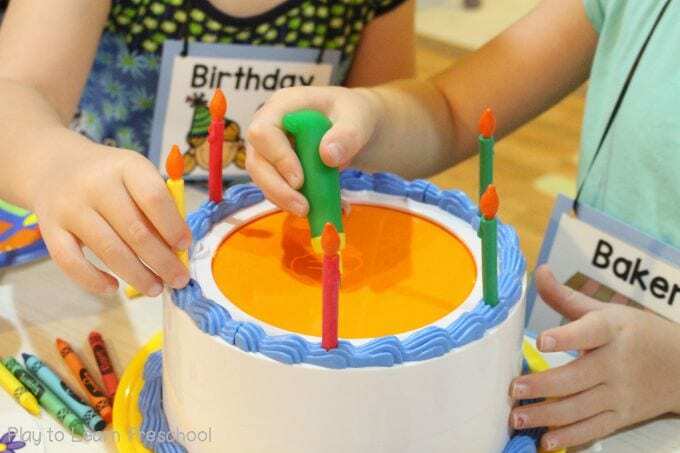 If you don’t have a play birthday cake, another option is to provide scented play dough and silicone muffin cups with some candles. 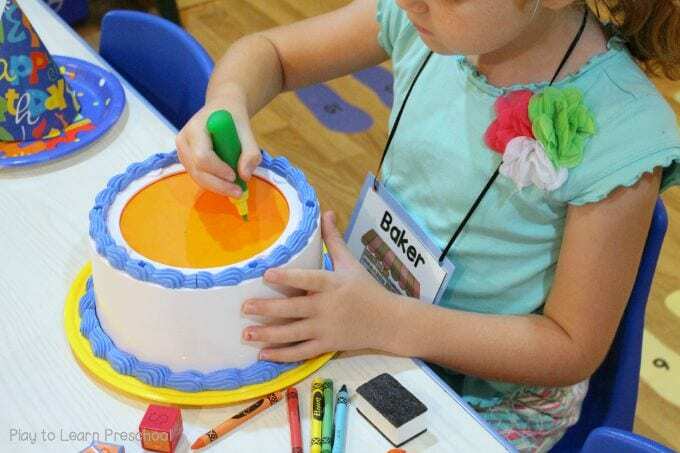 Let the children make their own birthday cakes! 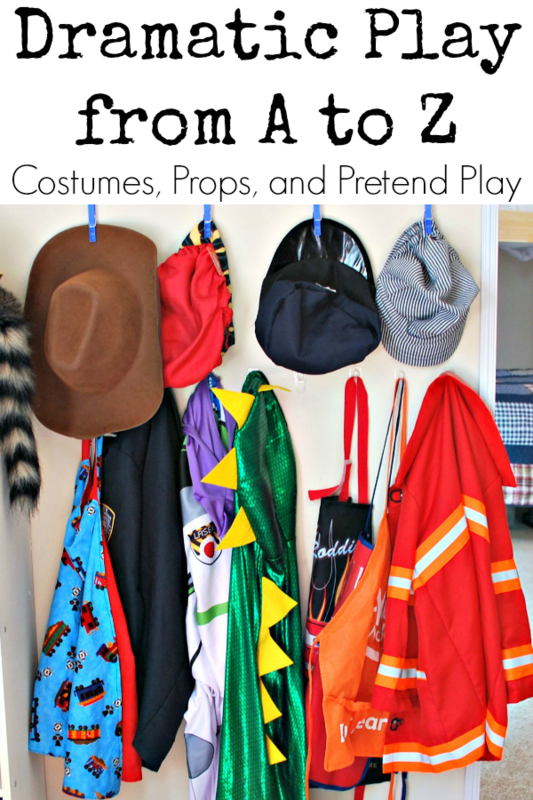 We are so happy to be a party of this A-Z Dramatic Play series at Happy Brown House. Be sure to check back each day as we discover 26 new ideas– one to go with each letter of the alphabet! Love this one! 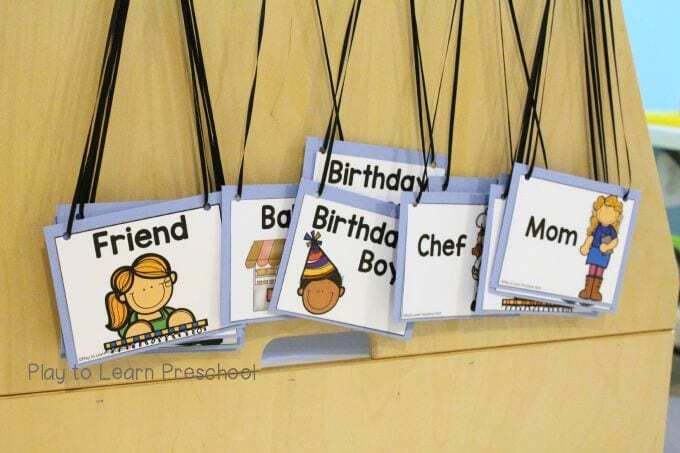 So simple, but kids love to have birthdays. My kids will place toys in gift bags with tissue paper and give “presents” all day long.